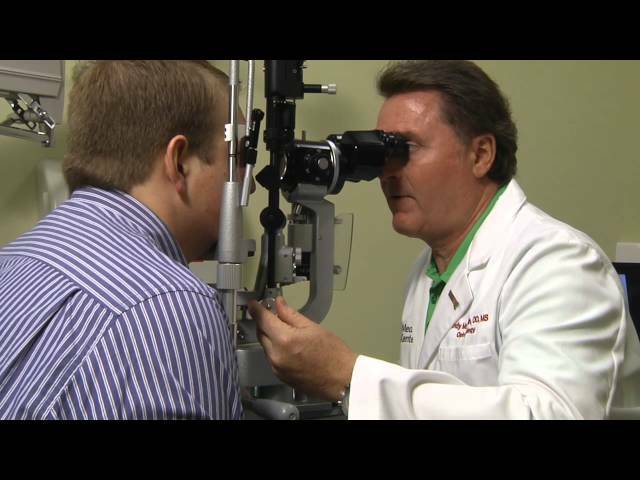 Biography: Dr. McLaughlin provides ocular examinations and contact lens fittings on hundreds of patients annually. He serves as the primary visual consultant for The Ohio State University Department of Athletics. He provides the athletes with general ocular examinations, contact lens fittings, sports vision screenings and sports vision analysis. Dr. McLaughlin contributed to research into the intercollegiate usage and impact resistance of football helmet face shields. His work was published in the Journal of the American Optometric Association. Along with Dr. Richard Lembach and Dr. Chantelle Mundy, Dr. McLaughlin is responsible for the contact lens education provided to The Ohio State University ophthalmologic residents. He also assists in the Resident Contact Lens Clinic. Dr. McLaughlin is also on the OSU Ophthalmology Practice Improvement Committee to assist in the ophthalmic technician training programs. Over the past twelve years, Dr. McLaughlin has represented our department at the prison clinic at the Corrections Medical Center (CMC), providing primary care to inmates at CMC and determining appropriate specialty referrals to our Department of Ophthalmology at the main hospital.